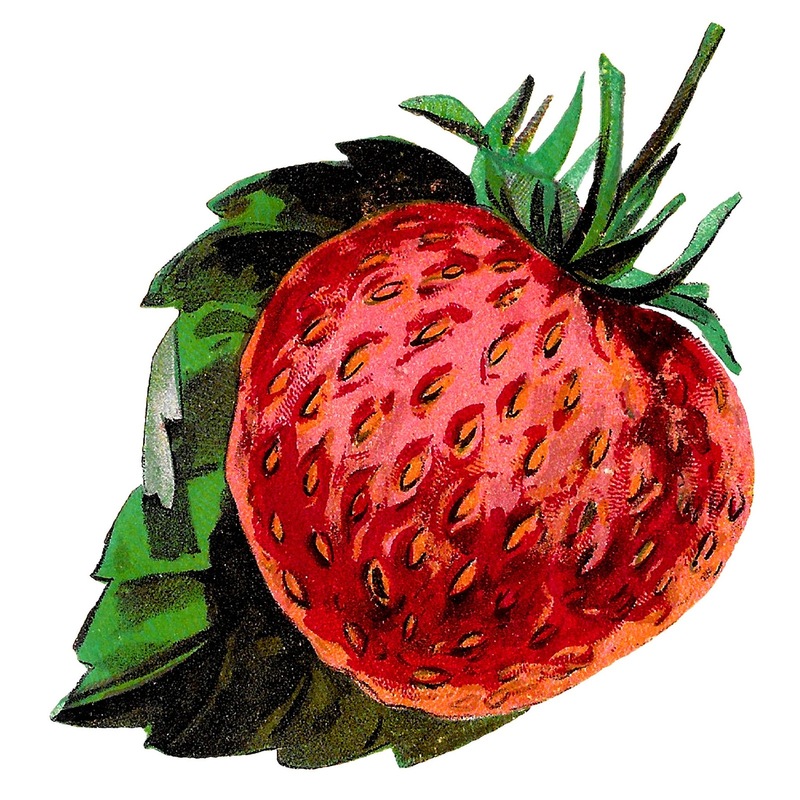 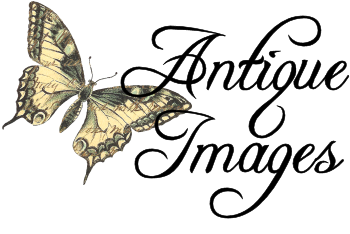 Today I've posted two, gorgeous digital strawberry clip art downloads. Each of these digital fruit images is of a single strawberry. 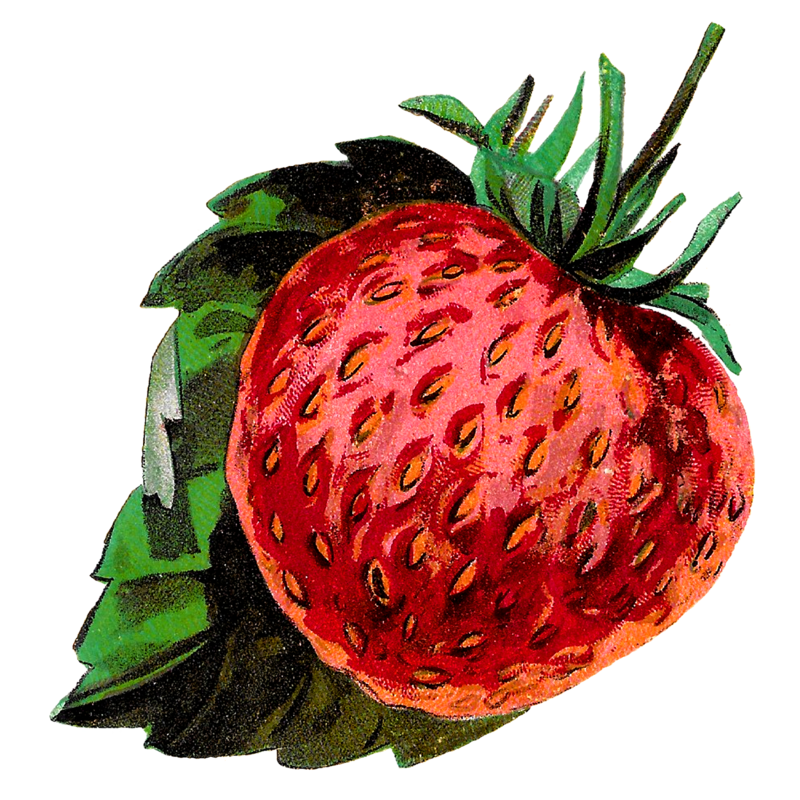 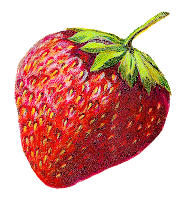 The first digital strawberry clip art image is of a big, ripe strawberry with a leaf behind the berry. 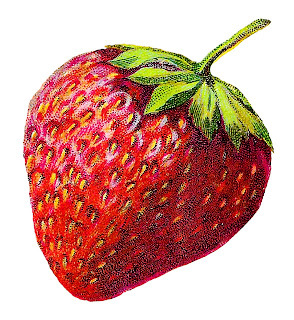 It's a very attractive fruit image. 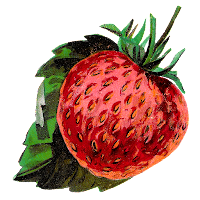 The second digital strawberry image is also of a single berry with the little calyx still attatched to the top of the berry. These strawberry images are perfect for decorating handmade recipe cards and jar labels for homemade jams and jellies.